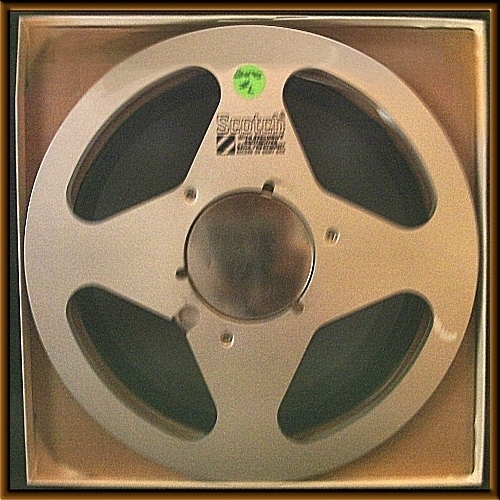 The following description for this reel comes from the owner: "It's a master for a Polydor EP. 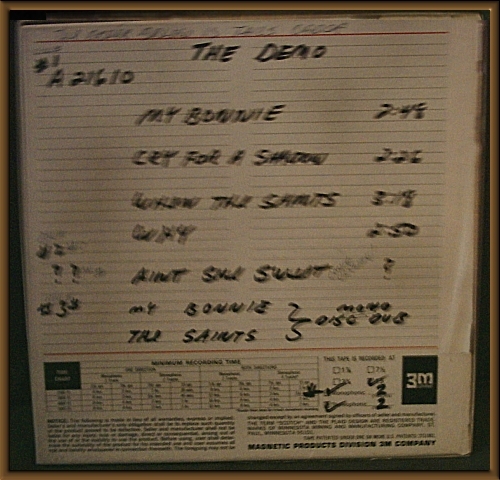 Plus some other recordings taken from an acetate (maybe?). It shakes my window glasses when I play it. Very strong bass!!!!" The Beatles first ever E.P but not classed as being an 'official' release. The Beatles first release, "My Bonnie", had been released in January 1962 long before E.M.I. signed the group. By the time of this E.P. The Beatles had topped the charts and become this years big thing. Polydor packaged up the tracks they had in the can of The Beatles and put them out in E.P. form. 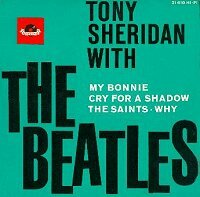 Of the four tracks, three actually only featured the band backing Tony Sheridan. The exception being "Cry For A Shadow" which was a Lennon/Harrison instrumental. The E.P. failed to chart.